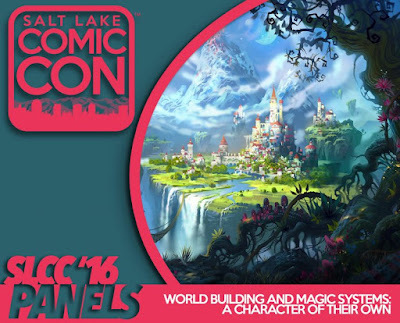 I'll be at Salt Lake City Comic Con tonight, on "Worldbuilding and Magic Systems: A Character of their Own." 7:00pm, Room 253A. Comic Con is always great -- I'm looking forward to being there again.